Many conduct family history research in the hope they can find someone famous or that they are connected in someway to royalty. I have a 7x great aunt, Sarah DUFFKIN, who married a direct descendant of Edward III, but that is as close as I get to royalty. It is certainly pleasing to find someone who is a noted social figure or even famous. I am descended from one of the great Bristol area families of BATEMAN (historically recorded also as BATMAN & BATTMAN), where records take the family back to the end the C15th in the Kingswood area, outside of the city. The Reverend Robert James BATEMAN (1859-1912), my 5th cousin 4 times removed (5C4R) was one such figure. He went down with the “SS Titanic”. 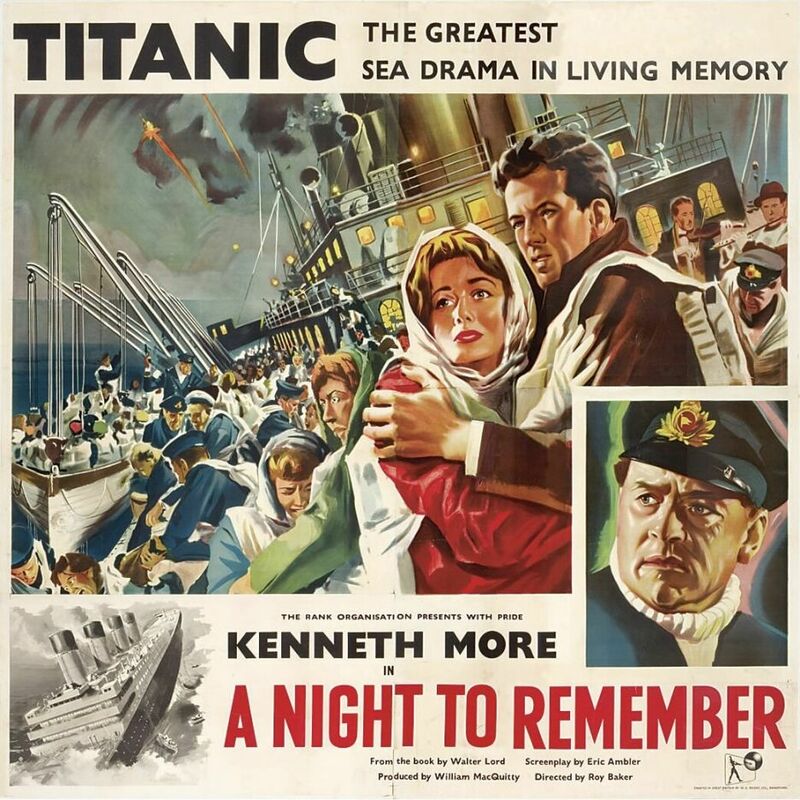 He is mentioned in the book and film ‘A Night to Remember’ where he led some passengers in prayers and conducted the band in playing ‘Nearer My God To Thee’ (his favourite hymn) as the ship went down. The Oscar-award-winning film ‘Titanic’ directed by James Cameron has a similar scene, although the character is not identified. He was washed overboard and drowned. This is a summary Bob BATEMAN’s last moments and some of the reports that followed. 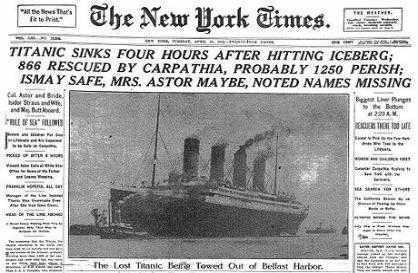 One of the many tales about the sinking of the Titanic records the role played by Bob Bateman, a Bristol evangelist. If there’s one image that typifies the British “stiff upper lip”, it’s the vision of the band on the Titanic playing hymns until the unsinkable ship finally sank. But it’s not generally known that the man conducting ‘Abide With Me’ as the icy waters swept across the deck in 1912 was a Bristol preacher and ‘fiery evangelist’ known as “Uncle Bob” Bateman’. Bateman was the son of a Staple Hill stonemason, Charles BATEMAN and his wife Hester BICK. In his youth Robert had travelled in America and was extensively educated in England, becoming a Baptist Minister when aged only 21. He went on to marry Emily Jane HALL of London in early 1880. They subsequently had seven children. Robert gained a formidable reputation as a hellfire and brimstone campaigner, but he was known simply as “Uncle Bob” to the hundreds of Bristol children with whom he worked. Bateman later emigrated to America and even became mayor of Jacksonville, Florida. The founder of the Central City Mission in Jacksonville, Florida, Robert Bateman was a minister who was not afraid to get his hands dirty in the service of Christ. Bateman came from England to personally lay the bricks of the Mission in the city where drunken sailors poured into tattoo parlours, bars and whorehouses. While sharing the Gospel, he provided thousands of meals, clothed the needy, visited those in jail and housed the homeless. He was called ‘the man who distributed more human sunshine than any other in Jacksonville.’ In 1912, he returned to Bristol to arrange a headstone for his mother’s grave at the village of Downend. He ran a revival meeting at Kingswood’s Evangel Mission Hall, and the Mission’s brass band led a procession of 100 people which escorted him to Staple Hill station when he left. As the train departed, a euphonium player serenaded him with an impromptu version of the old hymn, ‘Rocked in the Cradle of the Deep’, an ironic choice as “Uncle Bob” was heading to Southampton with his sister-in-law, Mrs Ada Balls, to board a new and allegedly unsinkable ship on its maiden voyage, called the Titanic. Bateman collected about fifty men on the stern of the ship and told them to prepare for death. 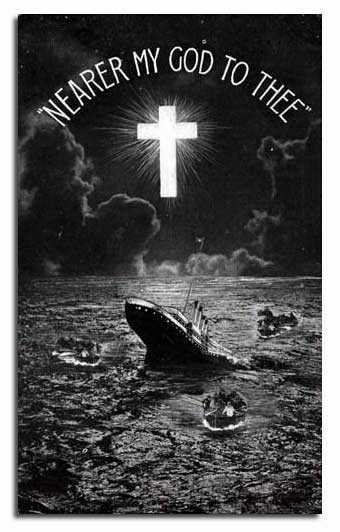 He led them in saying the Lord’s Prayer and as the band played his favourite hymn, ‘Nearer my God to Thee’, the great ship slid underwater. Eye witnesses said later that Bateman pushed his sister-in-law into a lifeboat, then returned to the band, calling on the musicians to play ‘Nearer My God to Thee’. The hymn was taken up by passengers and crew who had been unable to find a place in one of the inadequate number of lifeboats. As the ship slipped under, the band changed to ‘Abide With Me’. Bateman was still beating time when the waters closed over his head. His frozen body was subsequently recovered by the cable-laying vessel Mackay-Bennett. 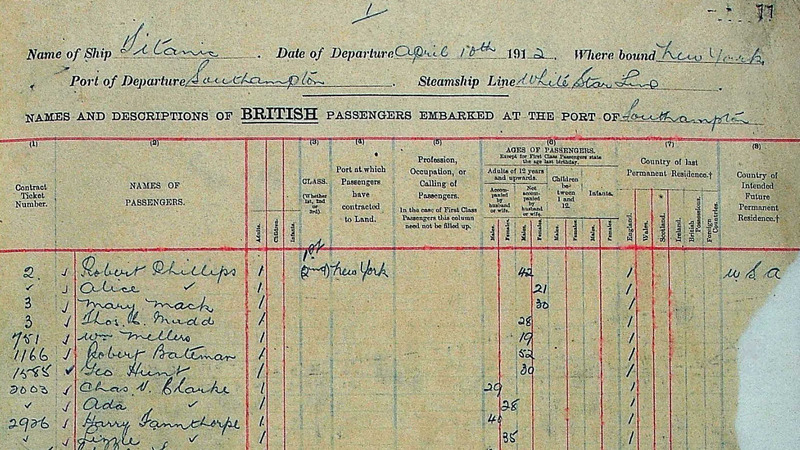 On 6th May 1912 his body was forwarded to Mrs R.J. Bateman of Jacksonville, Florida. He was interred in the Evergreen Cemetery, Jacksonville on 12 May 1912. CLOTHING – Black overcoat; black frock coat; vest and trousers. EFFECTS – Gold watch and chain; masonic charm pin; glasses; knife; photo; fountain pen; pipe lighter; gold links; 4 gold studs; purse; 7s 2¾d. ; gold mounted eye glasses; £4 10s. in a sovereign purse; cigar holder; style pin. Later Salvation Army leader, Commander Booth, also reported that ‘Mrs Abbott, a Salvationist in uniform, was rescued after five hours drifting on a raft, during which time her two sons, aged sixteen-and-a-half and thirteen-and-a-half, drowned before her eyes.’ The commander added, ‘They died, I am assured, like true Salvationists.’ Commander Booth’s message, together with other information about the Army’s relief efforts, appeared in the June 1991 edition of ‘Voyage’, the magazine of Titanic International, a group which researches ‘the liners of the world’. The magazine also noted that there may have been a former Salvationist on Titanic – the Rev Robert J. Bateman who, according to Bristol Fishponds Corps’ “War Cry” correspondent, ‘was said to have commenced the Army work in this district’. JACKSONVILLE – Dr. Robert James Bateman became a footnote to history when the Titanic sank in the North Atlantic after striking an iceberg. But Bateman’s death on April 15, 1912, is only a postscript in the life of an Englishman who made a lasting impression on his adopted home of Jacksonville and in Knoxville, Tennessee, and Baltimore, Maryland, where he served as a minister, evangelist, and a champion of the disadvantaged. Bateman was already a successful minister and evangelist when he made a trip in the spring of 1912 to his native Staple Hill (Bristol), England. He visited his mother’s grave, studied a successful orphanage in Bristol, and escorted his wife’s sister, Ada E. Balls, on a visit to Jacksonville. They boarded the Titanic in Southampton, England. Just hours before the accident, Bateman conducted a church service for the second-class passengers, ending with his favorite song, “Nearer my God to Thee,” according to accounts by Mrs. Balls. It was the same song survivors recall a band playing on the sinking vessel, which was about the size of today’s aircraft carriers. “Brother forced me into the last boat, saying he would follow me later. I believe I was the last person to leave the ship. Brother threw his overcoat over my shoulders as the boat was being lowered away and as we neared the water, he took his black necktie and threw it to me with the words, ‘Goodbye, God bless you!,” she said. At a memorial service held on April 21, 1912, Bateman was remembered for his work at the Central City Mission in Jacksonville. 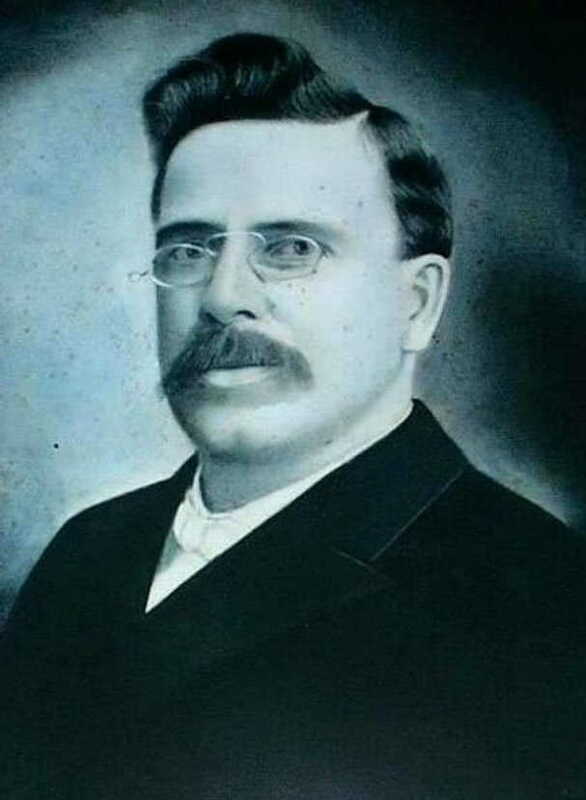 Bateman was ordained in the ministry when he was 21 and served as a pastor in Wales, Ireland, England and the United States, according to an article written by Jacksonville historian Edward A. Mueller and published in the “Titanic Commutator,” in 1987 by The Titanic Historical Society. For a while, Bateman worked with his father as a stone mason in the United States before returning to the ministry in Baltimore, where he served as superintendent of the Florence Crittendon Mission. He moved to Knoxville, Tenn., in the late 1890s, where he founded the non-denominational Peoples Tabernacle. He also was known for his work as an evangelist. 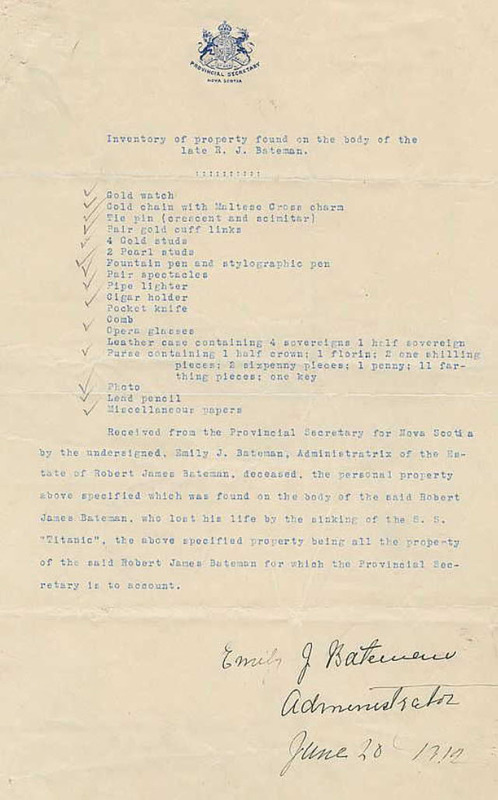 After moving to Jacksonville, Bateman started the Central City Mission. Twelve days after the disaster, Bateman’s body was plucked from the icy Atlantic, the 174th recovered. He was identified by his gold watch and chain, a Masonic charm pin, fountain pen, pipe lighter, and gold cuff links. Bateman was given a hero’s funeral with 11 ministers, according to an account in The Florida Times-Union.